Soldiers will no longer be able to photograph, record audio and video recordings during working hours with impunity. The reason – modern gadgets without the knowledge of the owner are able to send secret data. For example, geolocation, with which it is very easy to determine where a photo, video clip or audio file was taken from. This has been talked about for a long time, but it came to real bans only now. In the third reading, the State Duma passed a law that restricts the use of smartphones, tablets and other gadgets to military personnel. The correspondent of “MK” understood the details of the law. The main requirement of innovation is that military men of any rank and specialization are prohibited, while on duty, to use or even carry digital media with them, gadgets that have free access to the Internet. Now, even a harmless selfie conscript on the background of a tank, rocket or barracks, you can not do categorically. Especially to place in social networks or other Internet resources. Smartphones, navigators, tablets, external storage media and even DVRs received a black mark. That is, in fact, any means that can freely distribute photos, videos and audio recordings with geolocation data. In addition to the veto on the selfie, the law has a list of prohibitions. Now it is unacceptable to publish data about their colleagues, citizens dismissed from military service, members of their families or their parents. In addition, it will not be possible to disclose information that will be able to issue the deployment of military units and formations. According to representatives of the Ministry of Defense, ten years ago, they had already restricted the use of mobile phones at work while in service. Over the years, the situation has only worsened – and therefore such prohibitive measures do not seem excessive. – Phones have become modern and easily send photos, geolocation, tags. And all this as a result can negatively affect the defense capability of the country and even the personal security of a soldier, – explains the representative of the security department. Unexpectedly, but with such prohibitive measures turned out to be in solidarity and IT-specialists. They assure that modern gadgets are built into a large global network, in which a lot of users’ personal data goes. “Today, the technologies are built in such a way that even a switched off smartphone or tablet can transfer its geolocation somewhere“ to the side, ”says Sergey Dororodny, an electronics and IT device specialist, MK. – Often it is completely safe and is not used by anyone. But with the military, the situation may be radically different. The expert explains that translated into the “on the plane” or even off the gadget – this is not a guarantee that you have protected yourself from the information “drain”. “Once you turn on your phone or tablet again, like all the information about what you did or where you were during the“ shutdown ”, the user instantly gets to third-party servers,” continues Sergey Dobrorodny. – There were cases when the phone was lying nearby, people talked, for example, about cycling. A little later, the owner of the phone suddenly discovered that advertising offers were falling on him … to buy a bicycle! Sergey explains that this is not an accident, but the work of a whole worked out scheme. Smartphone “heard” the keyword – “bike”, transferred to third-party servers or applications and – voila: you are offered a new two-wheeled. 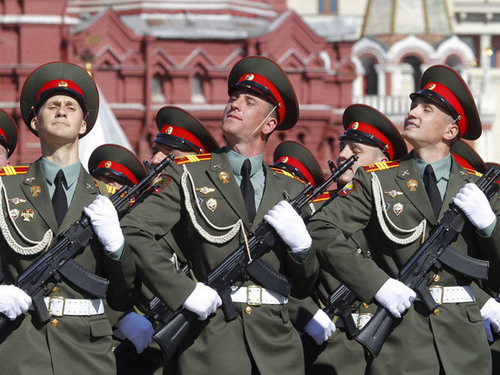 – Now imagine, if in the same situation a soldier starts talking about “Armata” or “Caliber”? Where is the guarantee that top-secret information will not leak to the side? – concludes the Noble. However, the law is severe only to modern gadgets. The button retro-models without a camera and Internet access does not apply to the veto. And for the use of smartphones and tablets outside the walls of a military establishment or department, there will be no penalties either. Speaking of penalties. The Defense Ministry noted that while only disciplinary responsibility awaits violators. Another important provision in the new law is that it is prohibited to provide important information or information even to large official media.